More than a cover contest! The Oxygen Challenge 5 is a complete 90-day fitness and nutrition program that costs less than a single personal training session! 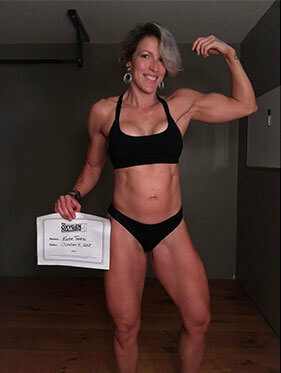 Get unlimited access to professionally designed workouts you can do at home, plus a private supportive online community. Suitable for anyone at any age and any fitness level. It begins May 6, 2019. Have you ever dreamed of being on the cover of a magazine? 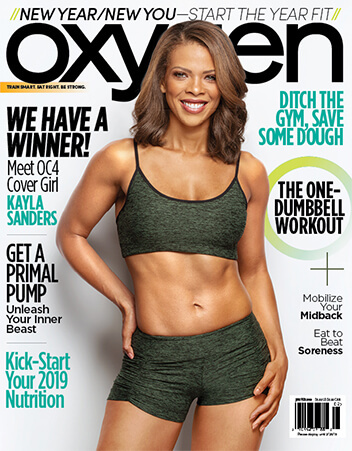 Enter The Oxygen Challenge 5 Contest, which runs concurrently with the launch of The Oxygen Challenge 5 on May 6, 2019, and compete to be front and center on the cover of the Winter 2020 issue of Oxygen. 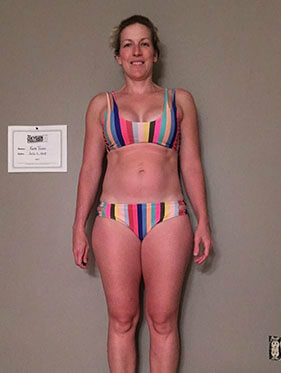 Check out some of our previous Oxygen Challenge participants — and their amazing results! Not interested in the cover? This year we’ve created four additional categories in which you can compete. Winners will be able to share their stories with the world in an exclusive feature on OxygenMag.com and across the Oxygen social media channels, as well as a chance to win swag and other prizes. The Oxygen Challenge 5 Contest begins Monday, May 6, 2019, and ends Sunday, August 4, 2019. You must purchase The Oxygen Challenge 5 program to be eligible, download the Oxygen app to your smartphone and submit your entry between 12:00 a.m. PDT on May 1, 2019 and 11:59 p.m. PDT on May 15, 2019. To enter one or more contest categories, download the Oxygen app — available May 1 on the Apple App Store and Google Play Store! All eligible contest entries will be displayed in the Oxygen app starting August 20, 2019. Only participants in The Oxygen Challenge 5 who have downloaded the app and created a profile will be able to vote for their favorite entries. Participants will be able to cast 5 votes in a 24-hour period. There will be no public voting, (e.g. via Facebook). The top 20 entries will advance to a second vote from August 28, 2019 to September 2, 2019. The Grand Prize winner (Winter 2020 Cover) and other Contest category winners will be determined by a combination of the popular vote, the coaches’ votes and the internal Oxygen judges’ votes. Sign up now to be one of the first to be notified when the 2019 Oxygen Challenge 5 Contest opens. Keep your eyes peeled for an email from Oxygen when the OC5 Contest officially opens!